Hi Hat ShooTools is an adapter for half ball heads that allows to reach an inclination of the camera up to 180°. It is universal: Hi Hat adapts all the video heads of 75 mm or 100 mm through a ring adapter on every device with 3/8″ stud totally tool free. Its 180° rotation capacity allows “upside down” shootings in the easiest and practical way possible. The locking handle, included, allows fixing the head on the desired position, while a double system of blockage guarantees maximum safety and stadiness. 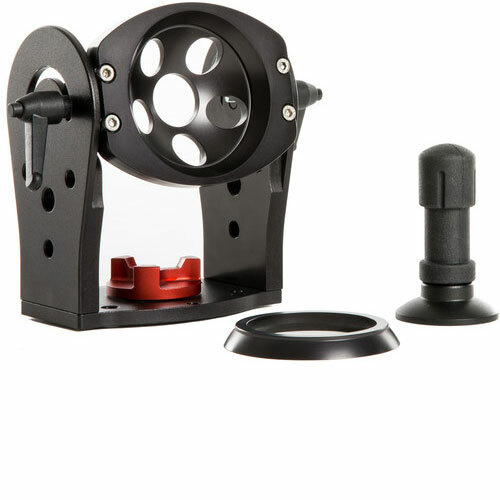 ShooTools Tilt Hi Hat is available for rent or hire from RENTaCAM Sydney.